The new issue of Mizan: Journal for the Study of Muslim Societies and Civilizations has just been published and is now online at http://www.mizanproject.org/journal/. The thematic issue, “The Evolution and Uses of the Stories of the Prophets,” coincides with the fiftieth anniversary of Tilman Nagel’s 1967 thesis “Die Qiṣaṣ al-anbiyāʾ: ein Beitrag zur arabischen Literaturgeschichte,” a groundbreaking contribution that has played a seminal role in the modern study of the subject. The papers we present here in the journal issue were originally delivered at a conference convened in Naples in fall 2015 by Marianna Klar, Roberto Tottoli, and myself in anticipation of this important occasion: “Islamic Stories of the Prophets: Semantics, Discourse, and Genre” (October 14–15, 2015). The study of qiṣaṣ al-anbiyāʾ, the Islamic tales of the prophets, has a well-established pedigree in the Western academy. Nagel’s work in the 1960s provided a solid foundation for future research, but it is one that subsequent scholars have built upon somewhat irregularly, and much work remains to be done. Unfortunately, the study of qiṣaṣ al-anbiyāʾ per se has not flourished in the last couple of decades with quite the same vigor as the study of Qurʾān and tafsīr, though the study of qiṣaṣ has surely benefitted, at least indirectly, from the extremely energetic expansion of both of those fields in recent years. 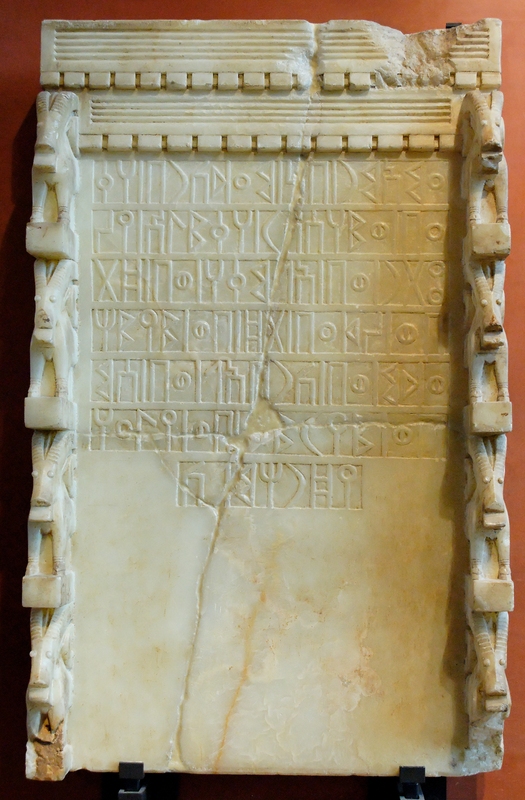 Nagel’s thesis discusses the ancient roots of qiṣaṣ al-anbiyāʾ among early traditionists, as well as highlighting important literary works in which this early (or allegedly early) material is gathered. He goes on to delineate the literary genre of qiṣaṣ al-anbiyāʾ proper, discussing major works carrying this title or something similar such as mubtadaʾ, badʾ al-khalq, and so forth. Nagel’s thesis represents the first attempt to delineate the contours of qiṣaṣ al-anbiyāʾ both as a genre and a broader tradition in a serious and methodical way. Pursuers sawing the tree in which Zechariah is hiding (detail) (p.75, Isl. Ms. 386, University of Michigan Library, Special Collections Library, Ann Arbor). Perhaps the most obvious and explicit contribution Nagel’s work made was to draw greater attention to critical works of the qiṣaṣ genre such as those of al-Kisāʾī, al-Thaʿlabī, and Ibn Muṭarrif al-Ṭarafī (d. 454/1062). It is important to note, however, that this focus on classic specimens of the genre was balanced by Nagel’s keen appreciation of the larger tradition that crystallized in the specific works that constituted that genre, evident in the significant amounts of qiṣaṣ material found in works of historiography, tafsīr, adab, and the like. Understandably given the prominence of qur’anic material in establishing views of prophetic figures among Muslims, tafsīr has held a certain pride of place in scholarly treatments of the Islamic versions of Adam, Abraham, Moses, Jesus, and so forth. Thus, one clear desideratum in the field of qiṣaṣ studies, (such as it is) would be the exploration of representations of prophetic figures in other genres, as well as careful study of the genre of qiṣaṣ al-anbiyāʾ itself as a whole and the major works that it comprises. This journal issue aims to make a small contribution to advancing the field by showcasing new research in qiṣaṣ studies. The articles featured here demonstrate that current scholarship on qiṣaṣ al-anbiyāʾ adopts a variety of disciplinary perspectives, reflects diverse concerns, and approaches the broader qiṣaṣ tradition in all its breadth and nuance, particularly focusing on the overlooked aspects of that tradition. Many of these articles discuss material from the post-classical period, especially historically neglected material from Shi’i literature, popular epic, and modern literary settings. The future growth of the field may lead to such a degree of diffusion of approach and subject matter as to challenge the whole presupposition that there even is or could be a field of qiṣaṣ studies, although it is clear what all the articles in this issue at least have in common. All prioritize the question of what is distinctively Islamic in various Muslim reinterpretations of qiṣaṣ narratives over that of sources or influences; in fact, most of the articles here do not address the question of origins or precursors at all, or at least downplay this question. Thus, our contributors collectively emphasize that qiṣaṣ al-anbiyāʾ is not really about ‘biblical prophets in Islam’ or even ‘biblical-qurʾānic prophets’ but rather simply Islamic prophets—with the meaning of “Islamic” varying enormously from author to author and context to context. Joseph’s brothers and the wolf before Jacob (detail) (p.48, Isl. Ms. 386, University of Michigan Library, Special Collections Library, Ann Arbor). This brings us back full circle to the work of Nagel we commemorate and celebrate here, in that his pioneering work on qiṣaṣ al-anbiyāʾ as a genre originally aimed at discerning what was or has been distinctively Islamic about the Islamic stories of the prophets. This journal issue hopefully makes clear that the question of how Muslims have articulated specifically Islamic expressions and forms of meaning through the stories of the prophets is of perennial relevance, from the Qurʾān down to the modern era, and that qiṣaṣ al-anbiyāʾ, as genre and discourse, is of significant value for examining conceptions of Islam itself in a range of Muslim communities and traditions. Mizan is a peer-reviewed, open-access journal published under a Creative Commons license and supported by the generosity of ILEX Foundation. The journal features an integrated annotation functionality and we encourage readers to engage our authors through this medium (using this functionality requires a quick registration process in order to prevent spamming of the site and maintain a civil and professional environment). We are currently accepting proposals for short features to be published on the Mizan Project and Mizan Pop sites, as well as proposals for future thematic issues of the journal. Interested parties are encouraged to contact me directly at mpregill@bu.edu. Cover of Mazuz, Religious and Spiritual Lives of the Jews of Medina (Brill, 2014). Image from brill.com. In the latest installment of the Review of Qur’anic Research 2, no. 2, Michael Pregill reviews Haggai Mazuz’s The Religious and Spiritual Lives of the Jews of Medina (Leiden: Brill, 2014). This work not only seeks to establish the historicity of much of the data the traditional sources offer us on the culture, customs, and traditions of the Jewish communities of the Ḥijāz in Muhammad’s time, but proposes to offer a conclusive demonstration of the squarely halakhic nature of these Jews. According to Mazuz, much of what the classical Islamic sources relate about Muhammad’s Jewish contemporaries can be correlated with data about Jewish ideas and practices found in the Babylonian Talmud and other mainstream rabbinic sources, which he interprets as proof that these Arabian communities were essentially rabbinic in orientation. 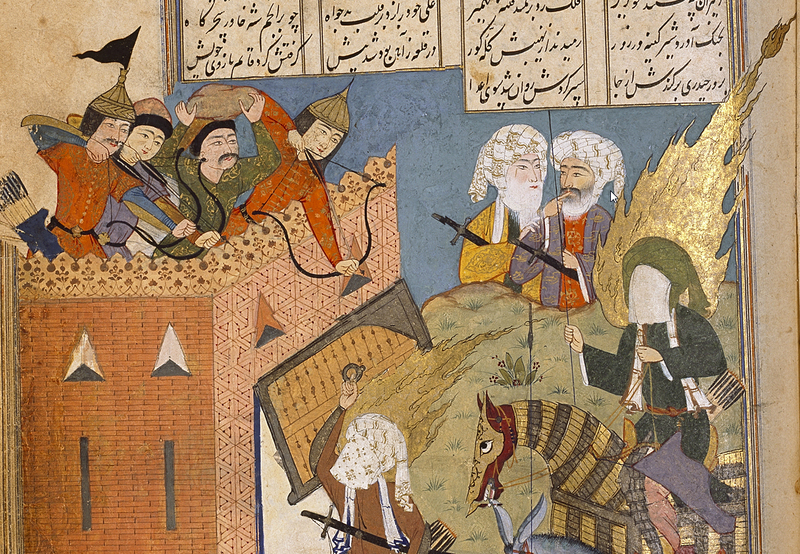 Detail from Athār al-Muẓaffar (The Exploits of the Victorious), Iran, 16th c. (Chester Beatty Library Per 235, f. 132a; from Persian Miniatures, V. Loukonin and A. Ivanov (Parkstone International, 2014), 145). The short essays in this forum are dedicated to reflection upon the contemporary challenges and prospects for discovery and innovation in the study of the Qur’an and early Islam, particularly as they stand at a nexus of convergence with Judaism, Christianity, and other traditions. Visitors to the forum can learn more about some of the most significant aspects of current research into the continuities between Late Antiquity and formative Islam from a variety of theoretical and practical perspectives. The leader of Mizan, Michael Pregill, is Interlocutor in the Institute for the Study of Muslim Societies and Civilizations at Boston University. He is Chair of IQSA’s Publications and Research Committee, Co-Chair of IQSA’s Qur’an and Late Antiquity Program Unit, and Head Editor of the Journal of the International Qur’anic Studies Association. He will be presenting his paper, “Scriptural Virtuosity and the Qur’an’s Imperial Context,” at next week’s 2015 IQSA Annual Meeting in Atlanta. Beginning in the 1970s, the work of Peter Brown revolutionized the way scholars approach the “fall of Rome,” the decline of Roman and Sasanian power in the Middle East, and the rise of Islam in Late Antiquity. In his classic The World of Late Antiquity, AD 150-750 and other works, Brown argued that the emergence of Islam and the establishment of the caliphal empire was not a radical disruption of the course of history, but rather represented the continuity of older cultural, political, social, and religious patterns. Despite the wide influence of Brown’s work and the general recognition of Islam’s importance in the overall trajectory of Mediterranean and even European history, substantial obstacles to a full integration of ancient, early Christian, Jewish, and Islamic phenomena into a general history of the civilization of Western Asia remain. All of these developments point to a recognition that the various cultures and literatures of Late Antiquity cannot be viewed in isolation, but rather must be approached in the wider context of the dynamic exchanges between various communities in the period, the imperial competition between the Romans and the Sasanians, and the spread and consolidation of the monotheistic or “Abrahamic” traditions. Among the scholars who sought to adopt, refine, and develop Brown’s approach to the period, it was Garth Fowden—currently Sultan Qaboos Professor of Abrahamic Faiths at Cambridge—who produced what was perhaps the most important work in this area in the 1990s: From Empire to Commonwealth: Consequences of Monotheism in Late Antiquity. When I was a graduate student, Fowden’s work impacted me profoundly. The book is ambitious in scope, wildly imaginative, willing to explore the period in terrifyingly broad terms, but in pursuit of a single cogent thesis: that the entire history of the Middle East and eastern Mediterranean from the second through the ninth century CE can be understood in terms of a sequence of imperial projects aiming to establish God’s rule on earth. 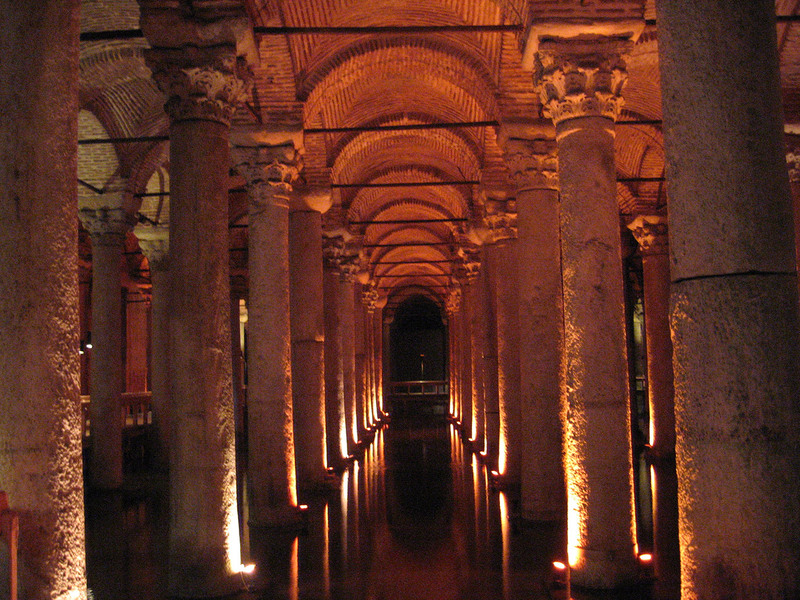 That is, the unifying theme of the era, one that distinguishes it from the civilization of the ancient world and sets the stage for the medieval cultures of Byzantium, Western Christendom, and the Dār al-Islām, is the use of monotheism as the primary justification for statebuilding, for literally global dominion (as far as that was possible in the pre-modern world). In Fowden’s work, the use of religion to justify imperial authority becomes the thread that links Christian Rome, Sasanian Iran, and the caliphates and that allows us to see the significant continuities between them with clarity. After a number of years dedicated to other projects, including a fascinating study on the iconography of the late Umayyad palace of Quṣayr ʿAmra, Fowden has now returned to history on the grand scale with Before and After Muḥammad: The First Millennium Refocused. Stunningly, this work is even more ambitious in scope than Empire to Commonwealth. Here Fowden once again seeks to explore the overarching continuities between Christian Rome, Sasanian Iran, and Islam but with even more attention paid to the intertwining discourses that link Greco-Roman, Syrian Christian, Jewish, Arab, Iranian, and European cultures over the course of a thousand years, centering on what he now calls the “Eurasian hinge” of southwest Asia linking the civilizations of the region. Fowden anchors his work in a rigorous interrogation of older conceptions of Late Antiquity, criticizing older scholars’ poor integration of Islam into the period, as well as the common approach of only including the Umayyad caliphate as a late antique empire. This serves to truncate the early medieval period from older trajectories of development that arguably only reached their full fruition around the year 1000. It also artificially severs the Abbasids and Iranian Islam from the prevailing cultural patterns of the Arab-Islamic world, though they are equally rooted in the legacies of biblical monotheism and Hellenism. Periodization, methods, and labels occupy much of Fowden’s attention here, and he spends significant time critiquing other contemporary attempts to advance beyond traditional frameworks and paradigms (82-91), adopting the new periodization of a unified “First Millennium” as his preferred heuristic lens on the period. This approach has the distinct benefit of locating Augustus at one end of the period and the emergence of the mature scriptural communities of Europe and Western Asia at the other, without privileging Europe over the Islamic world as the “true” heir to Greco-Roman antiquity or reifying anachronistic communalist boundaries between “pagans,” Jews, Christians, and Muslims. Several aspects of Fowden’s approach here depart from that of From Empire to Commonwealth. There is a particular emphasis here on various textual lineages as the foundation of cross-cultural continuity. Thus, he sees the transmission of specific canons of material as one of the primary drivers of cultural development, each moving through an initial phase of revelation to subsequent phases marked by canonization and then interpretation, with the resultant exegetical cultures dominating the cultural landscape from western Europe to eastern Iran by the year 1000. As a student of comparative exegesis (in my case, midrash and tafsir) I found the emphasis on the exegetical here particularly fascinating, though notably, Fowden is not concerned solely with scriptural canons (Tanakh, Bible, and Qur’an) but also philosophical and legal canons, placing particular emphasis on Aristotelianism as a major current of cultural continuity in the First Millennium. Fowden’s two chapters on “Exegetical Cultures” are thus exhilarating and dizzying—charting Aristotelianism’s movement from Greek to Syriac to Arabic educational institutions, the evolution of law from the Justinianic Code to the Babylonian Talmud to the emergence of Islamic fiqh, and touching on patristic, Karaite, and Muʿtazilite scriptural exegesis for good measure. The final chapter is likewise a tour de force, surveying the culmination of the First Millennium by showing us “Viewpoints Around 1000: Ṭūs, Baṣra, Baghdād, Pisa.” The cities visited in this grand perspective symbolize, respectively, the resurgence of Iranian national consciousness with the Shāh-Nāmeh of Firdowsī; the maturation of gnostic-philosophical-spiritual currents in early medieval Islam with the Ikhwān al-Ṣafāʾ; the emergence not just of the mature Sunni and Shii traditions but of sophisticated and distinctively Islamic modes of apprehending and engaging different faiths; and the reemergence of Europe as a meaningful center of cultural production. Astonishingly, this work is not the culmination of Fowden’s work in rethinking Late Antiquity. Rather, he advertises this book as a prolegomenon to a new, more comprehensive project on the First Millennium. It is also the companion piece to a forthcoming work charting the evolution of philosophy from Aristotle to Avicenna. Specialists will inevitably find much to quibble with here, especially given Fowden’s propensity to working in broad swathes rather than drilling down to wrestle with thorny details. Moreover, one can imagine assigning this only to the most intrepid undergraduates, despite the major pedagogical implications of Fowden’s reflections on periodization in particular. But overall, this is synthetic historiographic work of great sophistication and lasting value, and Before and After Muḥammad deserves to provoke discussion throughout many scholarly quarters.